The last time we were at the Harvard Club in New York we had lunch with our old pal Whit Stillman. Over at A Continuous Lean you can see some pix we dug up of the club from 1940. There aren’t as many dead animals hanging about, there are cute girls at the bar and the swimming pool is gone, but otherwise the place hasn’t changed all that much in the last 70 years. Thank god. 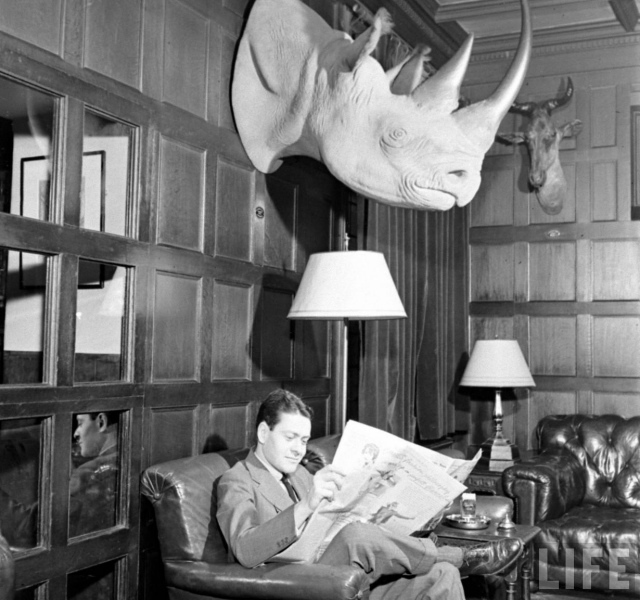 This entry was posted in Classics and tagged 1940s, A Continuous Lean, ACL, Harvard Club, Ivy League. Bookmark the permalink.